Home Blog The 7 ways to win back dormant customers on CS-Cart store. The 7 ways to win back dormant customers on CS-Cart store. The conventional wisdom says: “Old friend and old wine are the best”. So any merchant should work for dormant customers as good as for attracting new clients. Not everyone knows how to keep purchasers and rouse them to action. We will give you some tips that will help you to invert your first visitor to your loyal client and prevent him from being dormant. The store on Cs-Cart platform has a great amount of data on your customers. You can see where they are from, what they buy, how often they purchase and when they placed their last order. It gives next to nothing - you thought. You are wrong. Knowing this information gives you a great chance to offer each shopper a right deal. 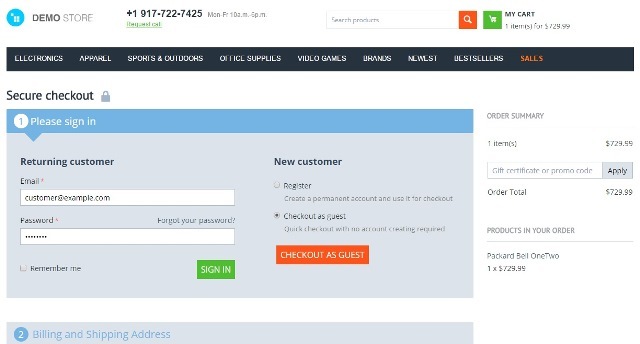 Tear the “sign-in” barrier and encourage shop visitors to create accounts. There is a category of shoppers who do not like to create an account during their first visit to an online store. Reasons for such behavior can be the following: the client is afraid of the big registration page, the client is short of time, the clientis not sure that he will return. Cs-Cart platform has a little trick in this case. This system provides the option to checkout as a guest if the store visitor intends to buy products. But the purchaser will be offered to create an account after the order has been placed. In such a case the chance that the customer will sign up is higher. The other trick is to motivate people to register with the system. For example, a client gets some credits or bonuses after he creates an account. Cs-Cart "Reward points for registration" add-on by Alt-team. 2. Define, track and segment the dormant customers. After the shoppers register on your store, you get the worthless information about your target audience. CS-Cart platform allows to look through all customer's profiles and to divide them into user groups. A huge mistake of the marketing strategy can be not to use it and not to make a clear rule that identifies customers. Different businesses have different definitions. According to your business features you should classify all purchasers on some groups: the ideal repeat customer, the casually loyal customer, the infrequent customer and the lapsed customer. Whereas a group of lapsed customers you should also break down into some parts. Some have been lapsed for years, others stop buying recently. This segregation will help you to get on the right side of the sleeping customers in Regular Customer Newsletter emails. You may be interested in our "Customer notes" add-on for Cs-Cart platform. 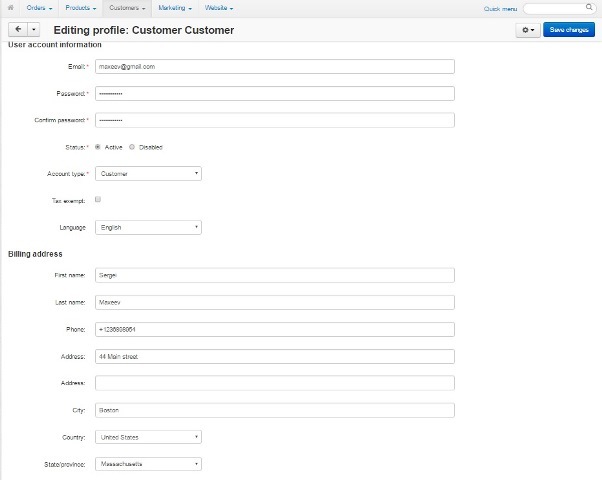 This module allows the store administrator add notes about customers in the backend of CS-Cart. 3. Think out the marketing emails. You have already checked the list of dormant customers and found out the shoppers who bought products only during the sales on your store or who bought only sets of products. One of the channel to attract their attention is emails. It is time to create more than 5 email samples that you will use for the mailout. These samples should contain the interests of each segment of lapsed customers. Pay attention to the email title. The title is one of the important parts of your marketing program. It should motivate to open the letter otherwise the customer doesn't even know about your proposal. The title shouldn't be more than 40 symbols as only 30-40 symbols are seen on the smartphone screens. Be creative. Check the examples from Andrew King on Pinterest. Unfortunately, Cs-Cart platform has no feature of an auto abandoned cart reminder. But we have such modification. Learn more about "Abandoned cart email reminder" for Cs-Cart. 4. Make a little surprise, delight your customers. An unexpected gift is a great way to remind the shoppers about your company. A coupon code is an excellent present. 20% off on the next purchase is also a good chance to win the customer back. You can make a small lottery among the dormant customers or a contest for the best review on your product. These things will activate them to buy and be involved on the website by posting testimonials. If you examine the CS-Cart, you will find many ways how to delight the customer. 5. Be in touch with the clients. Social nets accounts make the communication easy. There are lots of lapsed purchasers among your subscribers in social nets. Post company news often to get your customers informed about the sales, new products and other information. 6. Regular discounts and credits to return. Make the dormant customer an offer they can not resist. Discount on the next purchase is a suitable method to motivate your customer to visit your store and check the assortment. Coupon codes are another good way to win a lapsed purchaser back. If coupon codes have a time limit, it will hurry the shoppers. Send the emails on a regular basis. But you should know when to stop. Look at our free Cs-Cart add-on "Loyalty bonus". 7. Place, product, time is also important. Choose the best proposal for each group of dormant customers. Offer summer things in summer and follow up the holidays. Trace the time when the customer made last purchase and remind him or her that soon a new portion of a product will be required. Age, gender and the place where the customers live should be always in mind during you plan the marketing actions. The best case when your email hits the nail on the head and solve a problem. You should go for it. A progressive reactivation strategy brings your business a great profit. The best weapon in the struggle for the dormant customer is the information collected on your website and a clear plan how to maximize the customer lifetime value. 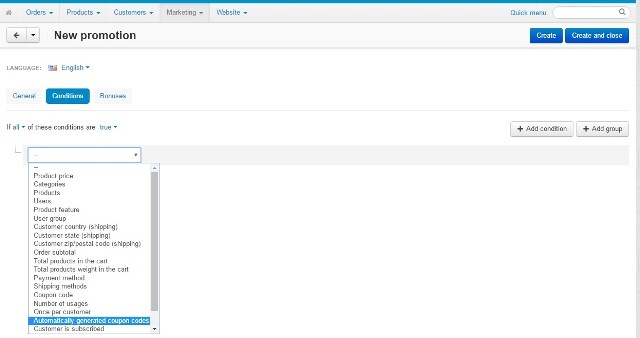 Cs-Cart platform gives you lots of ways to reactivate the lapsed customers, but the extra add-ons and modifications make this process goes faster.